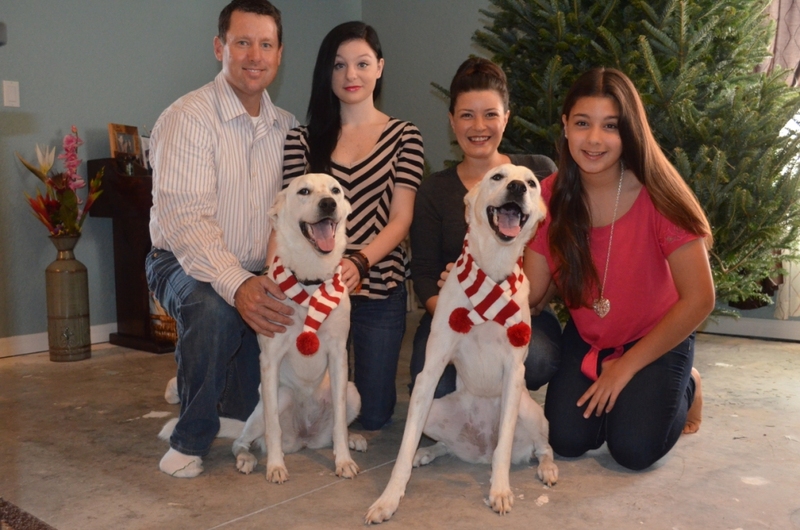 Special Adoption Updates written about very special dogs who have been adopted. On July 9, 2010, my accountant, Kingsley Shinner contacted me about his mother’s dog. I’ve known Kingsley since I moved to Deltona in 1989 and every year during tax time, I visited his office. I had met his parents, and was saddened when I learned that his mother’s health was failing. Kingsley helped guide me when I created The Dog Liberator, giving me advice and helping me incorporate out business, and put together our Articles of Incorporation to submit our request for non-profit status. I never dreamed he would need my help. He told me his mother had a collie, and asked me to find her a home. From the moment Kelly arrived at my house, my children fell in love with her. She was a very social and happy girl. 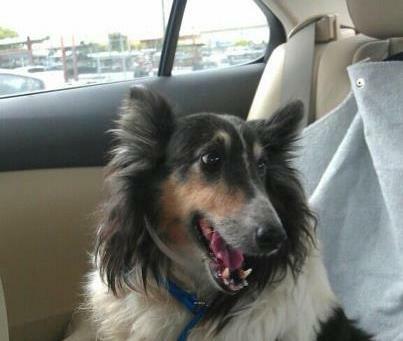 I immediately found a home for Kelly, where she was very happy, loved, and well cared for. She was renamed Lady Arabella. Forgot to mention she is highly skilled! Last Monday, however, I received an email from her owner stating that she was in poor health and could no longer care for Arabella. Yesterday, I drove to Ocala to pick her up. The last time I saw Arabella was at our 2011 reunion. Her owner opened the back door of the car, and Arabella, looking a little bit overweight but gorgeous, walked toward me. It only took one sniff before she recognized me. She barked and whined loudly, jumped up on me, and showered me with kisses. She spun in circles with her head up, literally screaming. Does she remember me? Her owner said, she did. “She doesn’t act this way with total strangers – trust me, she remembers you.” But how could that be? I drove her home and she cried the minute I stopped the car, and cried all the way to the front door. Once I opened the door, she immediately greeted Ozzie, Lady Di and China. Rosie, of course, didn’t want to have anything to do with her! So what did Arabella do? She darted down the hallway and went straight to my daughter’s bedroom door, again, crying. But Sarah is at a friend’s house for a few days. So, Arabella once again remembered. I got Arabella situated, and gave her some water, I called Kingsley’s office, making an appointment to see him. He was not in. An hour later, my phone rang; Kingsley in back in the office! I drove just a few miles, and what happened was simply amazing. The moment I opened the door to his suite, Arabella pulled so hard on the leash, I thought to myself, this is a fully trained dog, why is she pulling so hard? She bolted directly into Kingsley’s office and jumped into his lap. I don’t think he realized who she was at first, but she knew who he was. Once again, she screamed with joy, barking at the top of her lungs; the entire building heard her. 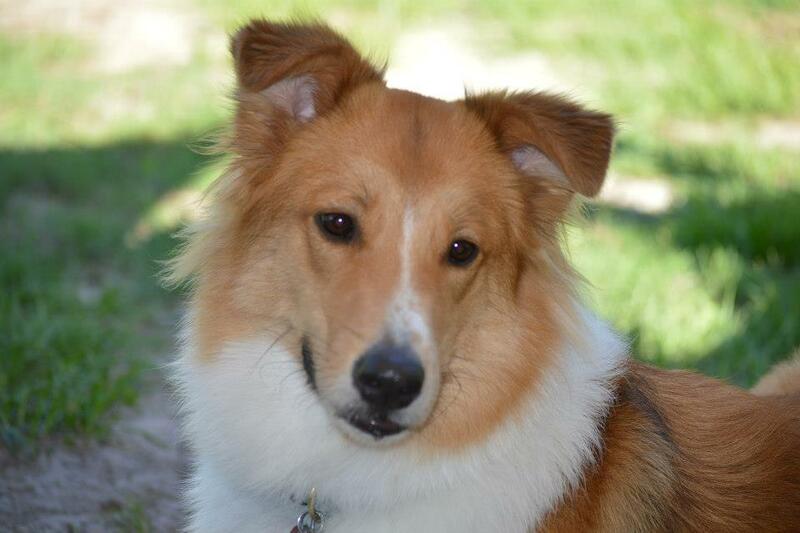 Imagine for a moment, hearing Lassie after Timmy has fallen in the well! It was that loud. Kingsley is reunited with his Kelly after 4 years. Once Kingsley realized it was her, he was dumbfounded. You see, his mother passed away shortly after he gave Kelly to me. But here’s what I didn’t know. I didn’t know that Kelly would spend her days at Kingsley’s office. She knew where she was! Arabella went to the vet, where everyone fell in love with her. She got her nails trimmed, all of her vaccines, and a heartworm test. She’s ready for her new home. Tomorrow will be the beginning of a new chapter for Arabella. I have promised her that she once again, she will have pretty bows in her hair, boys to play with, parents to love, and she might even get her nails painted. I have promised Arabella little tiny humans. These tiny humans might even want to put curlers in her hair. Something tells me Arabella will be just fine with that! I believe she will be adopted tomorrow, to her third home; a wonderful family in South Florida. This family has five children, a one and a half year-old and a 3 year old, as well as, a 13, 15, and 17 year old. This is a young family who spends their time out by the pool, and going places! I’m so blessed to be able to give Arabella the greatest gift a rescuer can give – her forever home. Later this evening, my Sarah will come home. I wonder what Lady Arabella will do! Don’t you? Update: My Sarah did come home, and just as I thought, Arabella did remember her! The next day she was adopted by Angela and her wonderful family! See Arabella’s photos on her Facebook Photo Album! We’d like to take a moment to brag a bit and reflect at our accomplishments. We couldn’t have done this without your help! 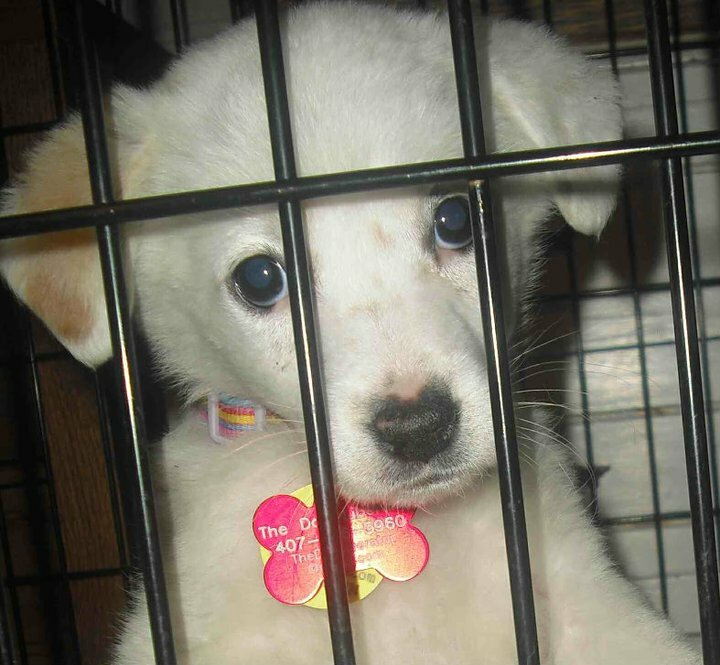 You can click on any dog’s photo to read more about their rescue and adoption. Thank you Sarah White for putting all of these photos together! Yesterday was an amazing day. I went to the Orlando Executive Airport to pick up two Alabama dogs, Amelia and Bennett’s Boots. I was also asked to be interviewed for a documentary Tales In Flight. When I heard there was going to be a film crew, I immediately panicked, and asked my friend Irma to drive me there. I was too embarrassed to let anyone see my van, which is rusted out and has missing parts! Okay, so maybe my hideous van was a great excuse to bring a friend with me to keep my calm! It worked! Sarah White-Buxbaum also joined us, and what a blessing! Once on the tarmac I was very comfortable-not nervous one bit. Before the operation began, I re-introduced Jeff to my Lady Di. Lady Di was the first dog Jeff ever flew to us, back in September of 2009. He remembered her, and I’d like to believe she remembered him. 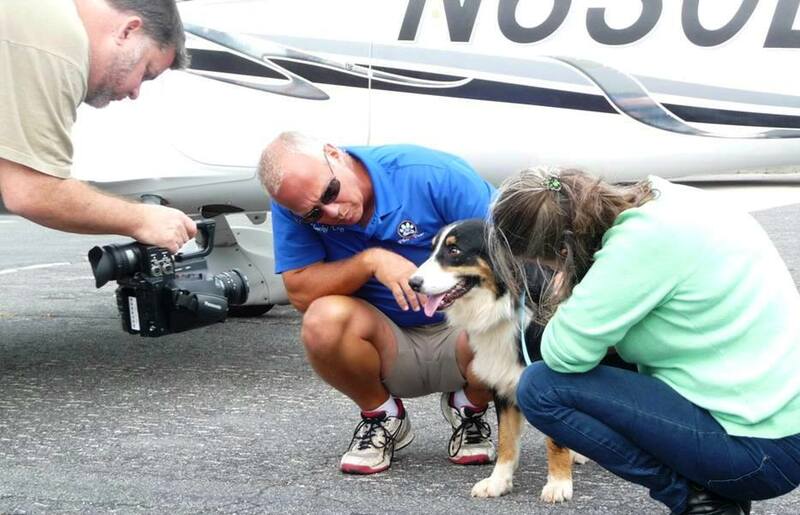 The number of dogs and puppies that poured out of Jeff Bennett’s plane was unbelievable. As I watched rescuers receive dozens of puppies, I didn’t envy them. Nor was I ashamed that only two dogs on this flight were TDL. I’ve accepted the fact that our rescue is about quality not quantity. If we want our dogs in foster homes, we refuse to board them, and we don’t have an actual shelter, our numbers will always remain small. When Shaggy’s crate was carried out of Jeff’s plane, he was scared. He turned and hid his head into the crate, and we gave him time to come out on his own. Eventually, he did, and hid his face under my arm! Shaggy was Jeff’s 2,000th save, and I informed Jeff that his new name would be Bennett’s Boots. It took a while before Amelia was uncovered. Jeff lifted her out of the crate, soaked in urine, and handed her to me laughing. Poor thing was terrified. We got the dogs into Irma’s car, left the tarmac and gave them some time to walk around and find their legs! Then it was interview time. I met with Director, Michael Samstag and Producer Josh Gildrie and they explained what was going to happen. But before the interview started, Jeff said one more goodbye to Lady Di! I thought that I would sit down with other TDLers, and an interviewer – but that’s not what happened. Instead, I sat in a chair and had a camera film me so close I had hoped that the lens had a wrinkle filter. I was completely alone, no one to my left, no one to my right, only a camera straight ahead, and my interviewer was not going to share the screen with me. UGH! With Lady Di by my side, I tried to relax, but half-way through the interview, she fell asleep at my feet. I realized as I was answering questions, that I’m a writer, and it’s very difficult for me to answer questions, and express my opinions verbally. I was nervous and tense just like most of the dogs we rescue! I hadn’t felt this way since I entered into my 3rd grade classroom, the new kid, in the middle of a school year. I opened the door, felt dozens of little eyes staring at me, petrified I wanted to be invisible. The interview took place in the airport’s lobby, where electronic sliding glass doors continued to open and close as people went about their business. I would answer a question, and the doors would shwoosh, and producer Josh Gildrie would ask me to say it again! Many times, I forgot the question, or had no idea what I had just said! I could never answer a question the same way twice! This was not easy for me! 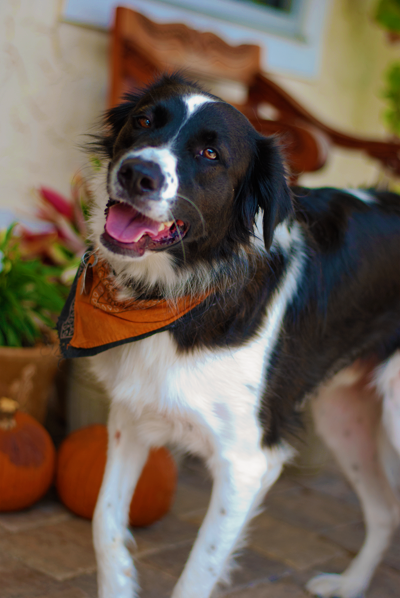 When the question was asked, why did I start to rescue, and where did my love for dogs come from, instead of answering by telling the story of my Reckless, I went off on a bunny trail to when I was about eight years-old – my first dog, Nelson. Before I knew it, I was sharing stories about my life as a child, and how we moved often, and how many animals I had to leave behind. I talked about the sadness coming home to an empty house. 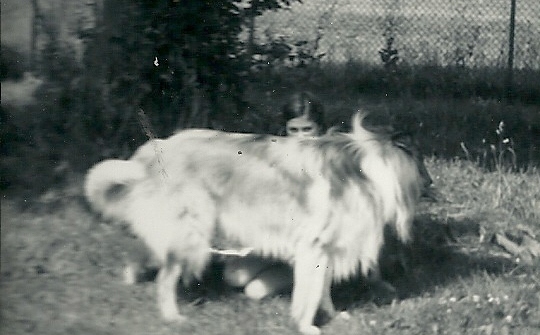 I was asked about Lady Di, and because Nelson was also a collie, I explained when she was brought to me, it brought back so many childhood memories of my Nelson, and without warning, I was flooded with memories, and I began to tear up during the interview. Trying very hard to be professional, and push my emotions aside, I knew I had stumbled onto something that I was not prepared to fully address. Since Lady Di was fast asleep, and starting to snore, at the request of director, Michael Samstag, we woke Bennett’s Boots up, and brought him on the set. I scooted over and gave the chair one tap… I didn’t have to ask him twice… and he was in my lap for the rest of the interview. Having a dog to hold and rub on made me relax and not feel so self-conscious. All in all, I think I fumbled through most of my interview. When I returned home, there was a lot of work to be done. All of my dogs had to be cared for, Claire Bear needed her Tofu and Lentils, and my new dogs needed to be introduced to their new temporary home. Too tired to cook for my own family, and too exhausted to go out to eat, we got pizza! I called Sarah White later that evening, and was able to share and process my unexpected melt down. While I have mentioned Nelson in passing to friends, I never truly shared his story with anyone. 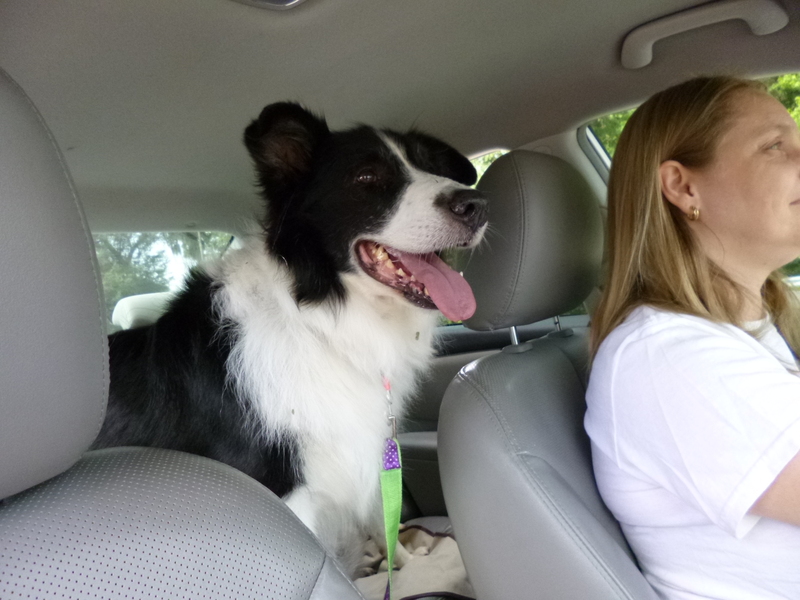 I actually named one of our rescued collies, Nelson, two years ago, but I still never really shared his story in detail. Maybe it was too painful for me to share? 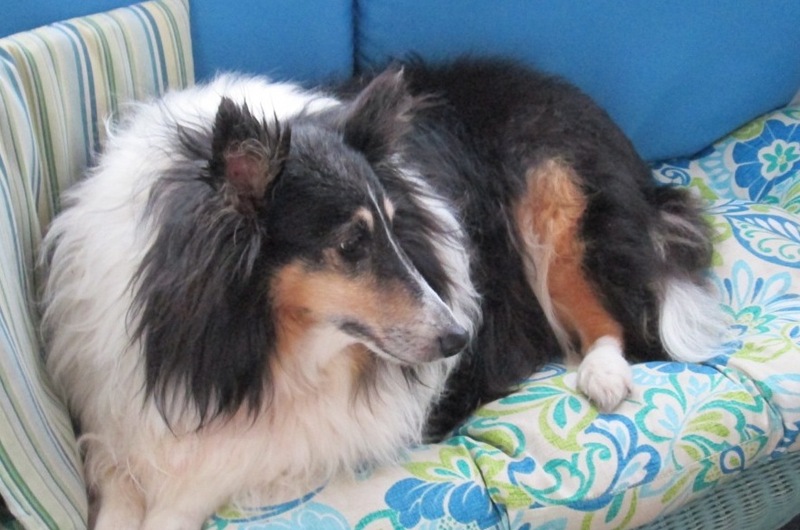 One of the first dogs I remember as a child was a purebred Collie named Lord Nelson of Baltimore III. I don’t know where my Mom bought him from, but we got him as a puppy. He was the most gorgeous puppy I had ever seen. It didn’t take long before he was HUGE! He was kind, gentle, noble, loving and easy to train. 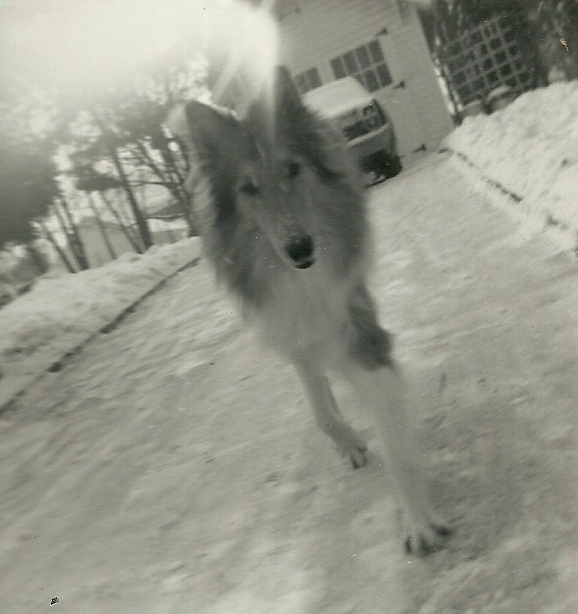 He was my brother’s dog, however, once my brother left our nest to go into the Air Force, I made him my dog! I remember laying on the floor and kissing his long nose and hearing his tail thump! He loved the snow and he loved to run! I remembered that warm feeling coming home from school to my Nelson. I didn’t have many friends, moving around a lot prevents lasting relationships! I only had one brother who was eight years older than me, and big brothers really don’t “play” with little brat sisters! My parents worked and were always busy, but none of that mattered, I had my dog. I guess my relationship with Nelson is very much like my daughter Sarah’s relationship with her China. It’s tight! I don’t know why I was surprised when my parents announced that we were moving again, this time back to Florida. I never dreamed that Nelson wasn’t coming with us, but he wasn’t. It wasn’t until just a few days before we were leaving that my Mom told me Nelson was going to Canada to live with my cousin, Victor. But that wasn’t true. Victor couldn’t have a dog, so Nelson was going to live with Victor’s Grandfather. I didn’t know these people, but I was assured that Nelson would be loved and well cared for, and he was. Despite my parents’ assurance, I protested but it had no effect. I sat in the back seat with my arms crossed, pouting, crying, leaving my home, and knowing I would never see my dog again. Just a few short years later, we got the news that Nelson had died of cancer, he was only five years-old. I remember feeling angry that I couldn’t be there with him when he died. I wondered if he knew that I didn’t want him to leave me. I wondered if he knew how many nights I cried for him. If he was in heaven now, surely he knew how I felt. But how could I be with him when he died? I was in Florida, Nelson was in Canada, and I was just a kid. I must have been around 13 years old when I realized that I had never been given the pleasure or the honor to have a pet until it died of old age. All of my animals were either left behind, or given away. 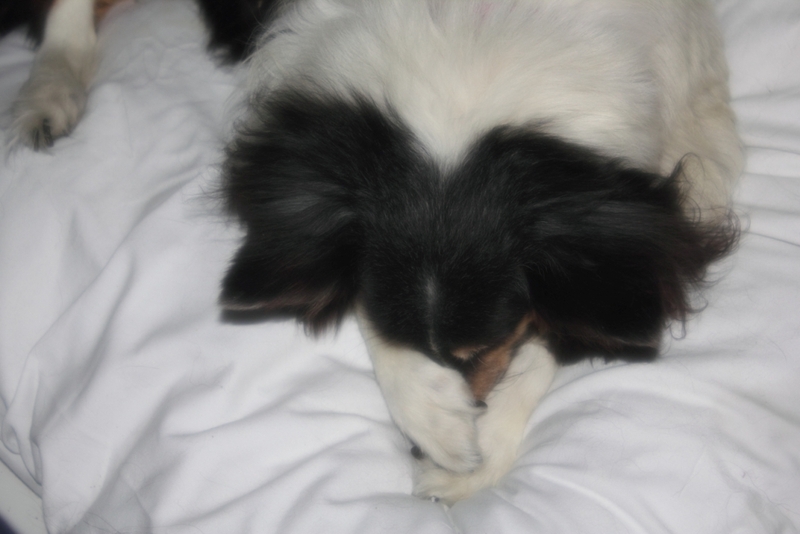 I tried not to grieve over the loss of Nelson, after all, he wasn’t my dog anymore. But something happened yesterday, during that interview, and I cried. Maybe this experience makes me a better person with regard to feeling empathy for owners who have to surrender their dogs to us. Maybe because I have felt their anguish, their pain, I do not judge them, instead I assure them that their dog will have a good life, as was the case with Mic. 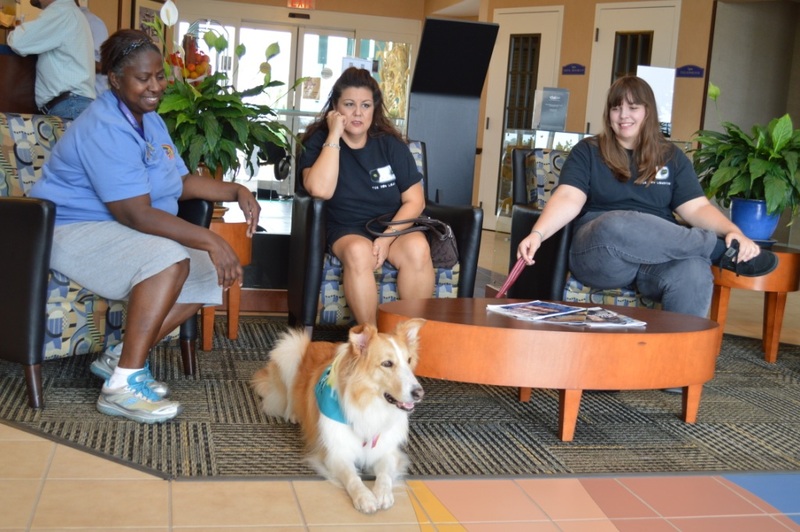 When Carol came to adopt Mic, I called Mic’s former owner, and gave him the good news. Maybe Nelson is really the reason why I love dogs, and why I love to rescue. Maybe after all of these years I’ve been working to right the wrongs. This morning, I used a step-ladder to get into my closet, and I climbed up to where I keep very old photo albums. I found it. The album dates back to 1970, and it only contained a few of his photos. I have finally given myself permission to grieve over his loss today. Yes, life goes on, but I always missed him. He wasn’t given up by me, yet I had to surrender him. I protested, I begged, I pleaded, I got angry, but there was nothing I could do, because I was just a kid. See all of the photos taken during this transport on Facebook. 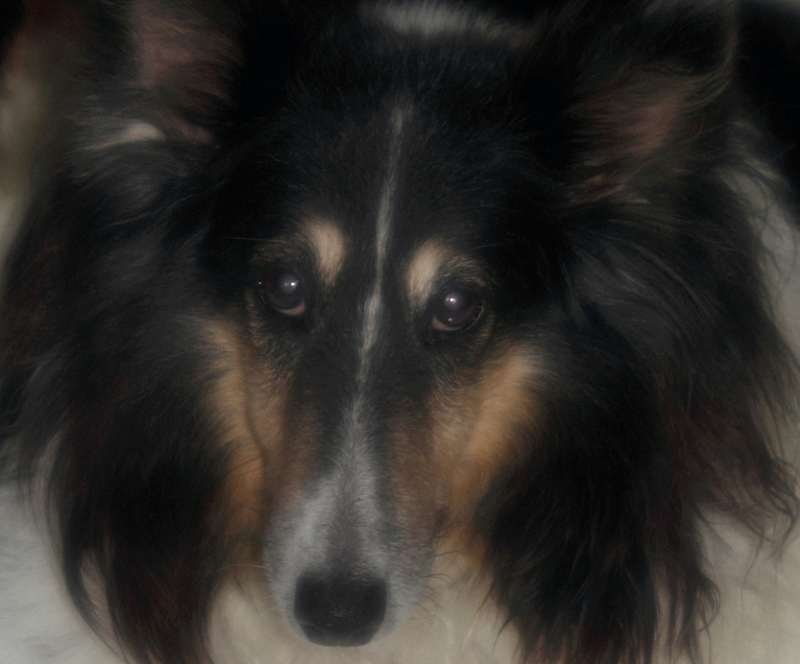 And of course, this little Sheltie, Jalo, came home with me… when I first saw Jalo (now Gidget) walk up my driveway, she had no fur, sores covering her little body and little chipmunk teeth….but she definite has attitude! She walked right up to my 18 year old cat and ate her food! She knew she found her forever home! My little Gidget is just a sweetheart! Gidget never leaves my side and when I leave the house, she waits by the front door for my return. Gidget runs the house….Trek and Hey Boo Boo know that she is in charge and she seems to enjoy it! I swear she has sense of humor! Gidget’s age is not known, but her vet and I believe she is well past 10 years old. It did not take me long to realize Gidget is deaf. At first I thought she was just stubborn, but when she didn’t hear the vacuum, I knew she was deaf…but Gidget does enjoy being vacuumed! Now that she has an amazing new coat, it helps keep the house a little cleaner! 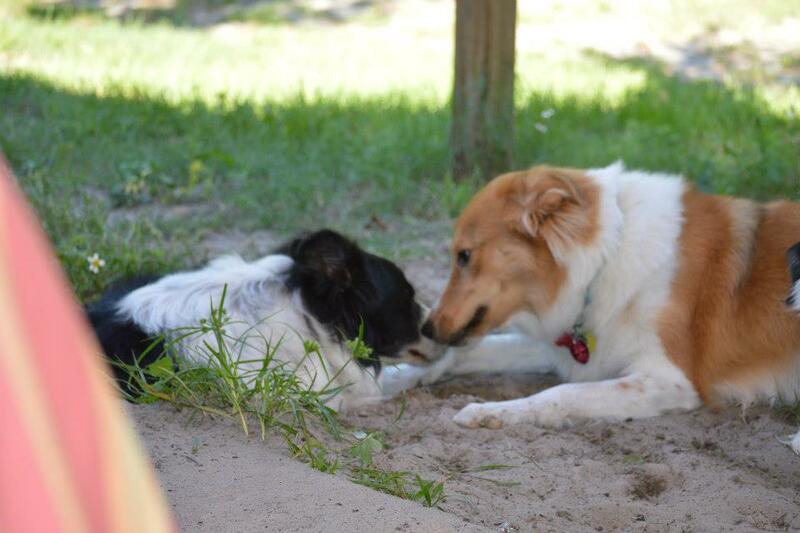 Gidget was just a breeding dog that was dumped when she was no longer of use, She never knew love nor how to play. She now knows love, but still just stares at me when I throw a ball. The old “puppies” love unconditionally and are love bugs! I remember when I first lost Nitro checking Petfinder for another senior Aussie and found a sweet, horribly neglected 11 year old Aussie named Summer. I knew that Gidget would need a lot of TLC, so I thought I would wait until Gidget was settled in and comfy before looking for a companion. In April I checked again on Petfinders and found that Summer still needed a home….I guess it was meant to be that Summer would come home to the Burns house! Another senior that no one wanted would now have a forever home! I know people want the perfect little puppies, but I wish they could understand how precious the old “puppies” are and the joy they bring to your life! Summer is now named Hey Boo Boo….and what a doll baby! She had a horrible life as a breeding dog, but is now living the life of leisure. She was given a nice doggie bed, but she prefers the white futon! Anytime I walk past Hey Boo Boo she rolls over for her tummy rub! Hey Boo Boo, Trek and Gidget compete for tummy rubs! I need a third hand! But when you lay down with her, she wraps her paws around you like a child. 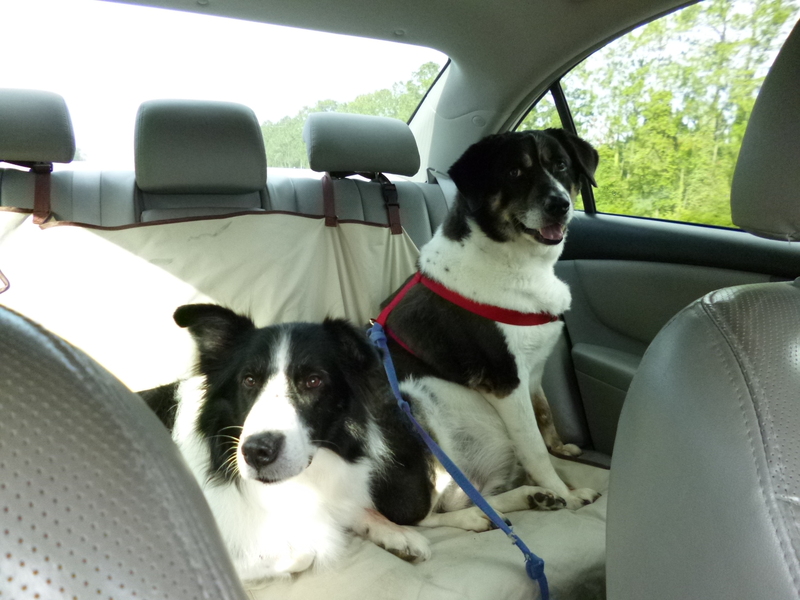 It is so great to watch Trek, Hey Boo Boo and Gidget together….they love their walks, visits to the beach and drives in the car. 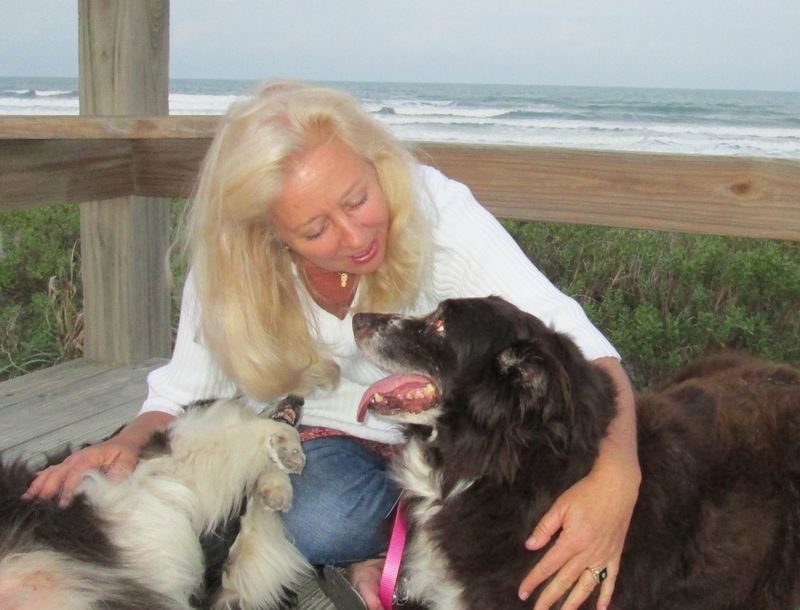 I love my precious seniors… I still miss my Little Nitro terribly ….he brought total joy to me which made me commit to only adopting the seniors. The old puppies need to know love, hugs and kisses… for whatever time they have left. 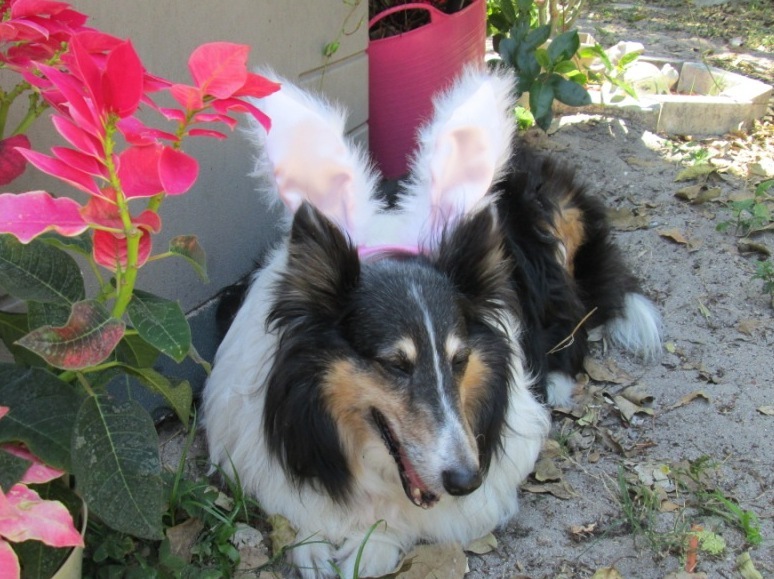 I truly have a full and happy home…..Eve (18 year old kitty), Trek (Bob’s 9 year old Shepherd mix), Gidget (12 plus Sheltie) and Hey Boo Boo (12 year old Aussie)! This is an awesome before and after photo eh? This little girl just happened to be dropped off at Miami-Dade Animal Services while Jackie was just walking by…. and she called me! Cute little thing is about five years old and she weighs in at 35 pounds. There is no background information, no reason why. 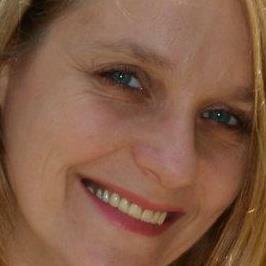 Here are her photos on Facebook. My response to Mickey is all we know is her story has just begun my dear. I hear she has been very neglected. It will take much work to get this girl healthy again. Jackie is in charge!!! 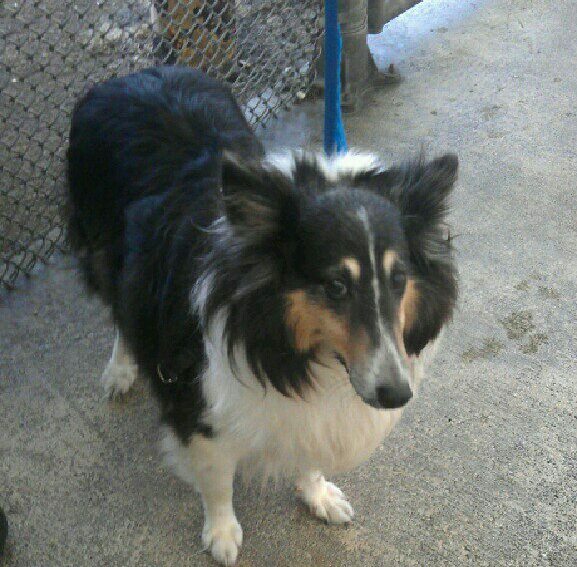 She is a sheltie, about five years old, but she is in bad shape with regard to hot spots, matting and her coat. Jackie reports the only way to treat the skin is to shave her down a bit. Good news is her teeth are good and she is heartworm negative… that is a miracle! She will undergo the TDL transformation for sure! Jalo and I had a very busy day. She did great throughout the night. Slept soundly on her bed which is located at the foot of my bed. She didn’t move a muscle. I dont think she has ever slept on an actual bed before. She probably thinks she is getting the luxury treatment. Once we awoke she went right outside and did her business. After getting ready it was off to the vet. I took her to Briarwood Animal Hospital in Miami, where I used to work for almost two years. Dr. Diaz, my old boss was great. He loves meeting all my rescues and is always ready to help. He confirmed the previous diagnosis of Seborrhea Sicca. 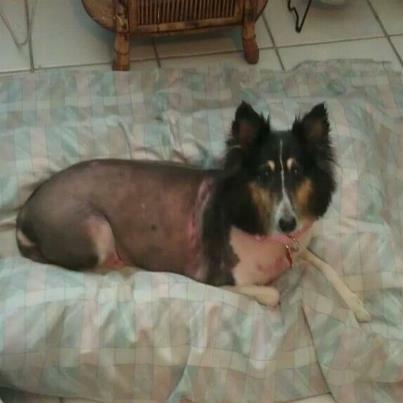 After speaking to him about the different treatment methods we both agreed that the best way to attack the skin condition at its core is to treat it with antibiotics (Cephalexin 250 mg twice daily) and to shave her and treat her with medicated baths (Dermazole shampoo) three times a week. We will monitoring her progress for improvement. If her skin does not improve in a few weeks then he will add an anti fungal medication to continue to combat the infection. Dr. Diaz informed me that this kind of skin condition can be caused by a number of other underlying issues, the main ones being thyroid problems, diabetes, and Cushings disease. While I am still waiting for the results of the thyroid test, diabetes and cushings disease has been ruled out. Her blood work was normal except for her white blood cell count which was a bit elevated but that is normal given her skin infection. After discussing her treatment I began shaving her coat. You could see the instant relief in her eyes. It took me two hours to carefully shave her, being sure not to irritate her skin further. Shaving her revealed several large patches of dead and scaly skin. As I was shaving her paws down I noticed that her front left paw had not one dew claw, but two! I had never seen that before. After clipping the area further I noticed that both de claws had grown so long that it had pierced her skin and was embedded. One of the de claws fell out after clipping. The embedded portion of one nail had to be pulled out using hemostats. Fortunately there was no infection at the site of the nail and no abscess had formed. When I saw this photo on my phone, it didn’t show much detail. But this morning, I see a lot of redness, I see those bad spots Jackie talked about. Jackie asked me if she could shave Jalo… I said no, but after she described her condition and explained that there would be no way for us to treat her skin condition without a fresh start… without shaving all of that un-cared for hair… I said yes! Jackie states that Jalo ignored some cats, but we are going to try to cat-test her shortly! My friend stopped by to take a couple of pictures…hope they are okay! 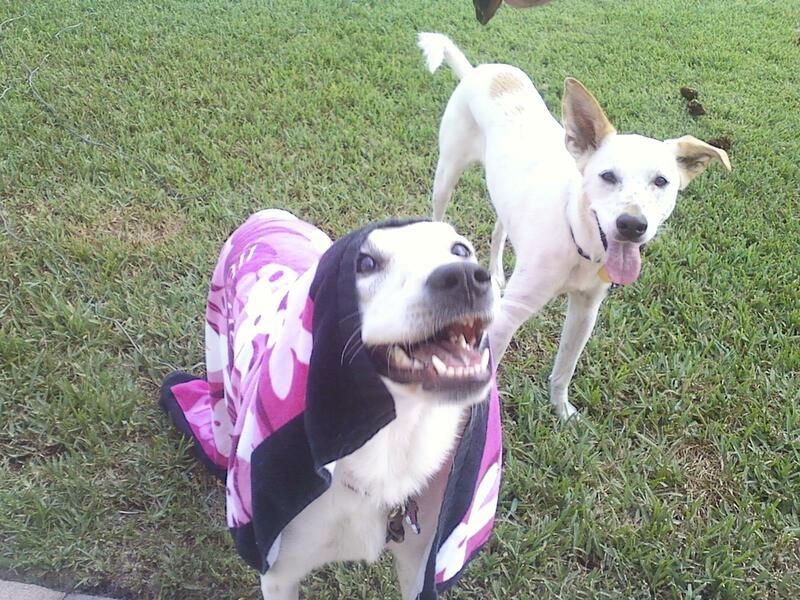 I thought it was cute that GiGi walks with her blanket like Nitro…she is a funny girl! I also sent a picture of Nitro…they look so much a like….Gisele, you were so right when you mention she reminded you of Little Ntiro….those sad little eyes….but this little GiGi is mischievous…but very funny! I never know what I am going to find when I come home, but I greeted like I have been gone for days! Everyday is a new day with little GiGi! 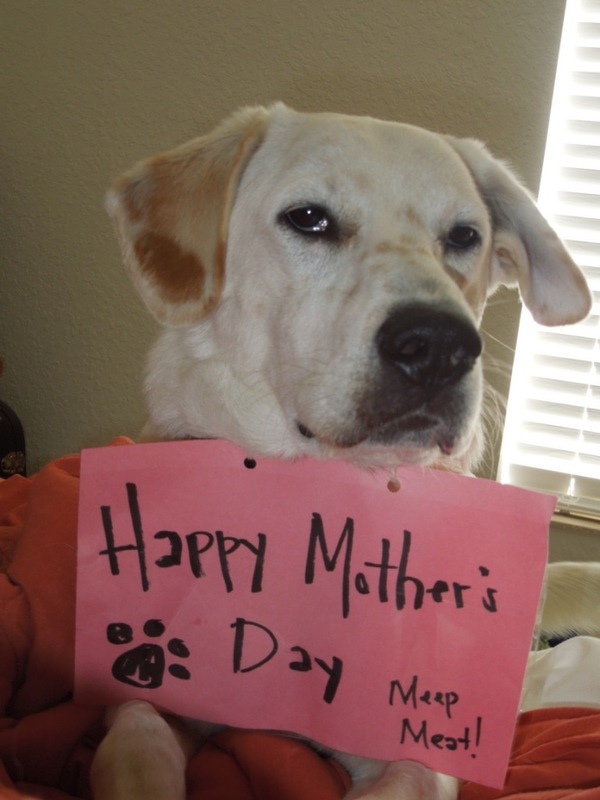 Take care and thank you for all you do for this precious puppies! Sometime in 2011, my Facebook feed introduced me to the Dog Liberator with the story of Chance (Rhys). I remember reading his story and sobbing at my computer desk. I could not comprehend how anyone could do such a thing to any living creature but I was so happy to know that he was safe now. From that day I frequented the Dog Liberator blog and Facebook page taking turns sobbing and laughing. I always found it comforting in this crazy and most often un-explainable world that no matter how desperate the situation or how far away the dog was, the people here found a way to help. In March of 2012, my daughter brought home a stray black lab she rescued from being hit by the school bus. I had always had dogs but I was not prepared for the bad habits this one brought with her. Gisele was a wonderful source of support and information. Things went back to normal and I often stalked her page liking this and commenting on that. In April of this year The Dog Liberator posted Bobo’s need for transport from Lake City to Deltona. I felt so sorry for this beautiful boy home alone all day because his owner, Sherilyn was in the hospital. I was sure that someone would come through to transport BoBo to Gisele. I watched and I waited and still no transport and I finally realized why. I had been praying to find a way to help since I read Chance’s story and this was it. So nervously I emailed Gisele and told her that if it was ok, I would transport him. She emailed me back to let me know that she was trying to put together something and would let me know when. Well, I thought, she did not tell me no so I emailed her back to let her know that if she could not find anyone else to help, I would go get him and bring him to her the whole way. And that is just what my son and I did. On April 7th we arrived in Lake City and met with the woman, Belinda, who had been checking on him every day. It was emotional. She was crying and I was nervous. BoBo suffers from separation anxiety, and he cried every time Belinda would come to check on him. BoBo needed more than a kind person to visit him, he needed to be in a home where he could feel secure. Once I got BoBo in my car, the further we got from his house, the more he cried. He knew, we were taking him away from his home. I called Gisele, I didn’t know what to do except keep driving. She reassured me that he would be fine and so it was. It was a long day but it was such a great feeling to know that I helped him and he would not be alone anymore. Strangely, once BoBo arrived at Gisele’s house, he wasn’t nervous anymore. He walked in, greeted her dogs, and acted like he had been there forever. Her house is where BoBo started. 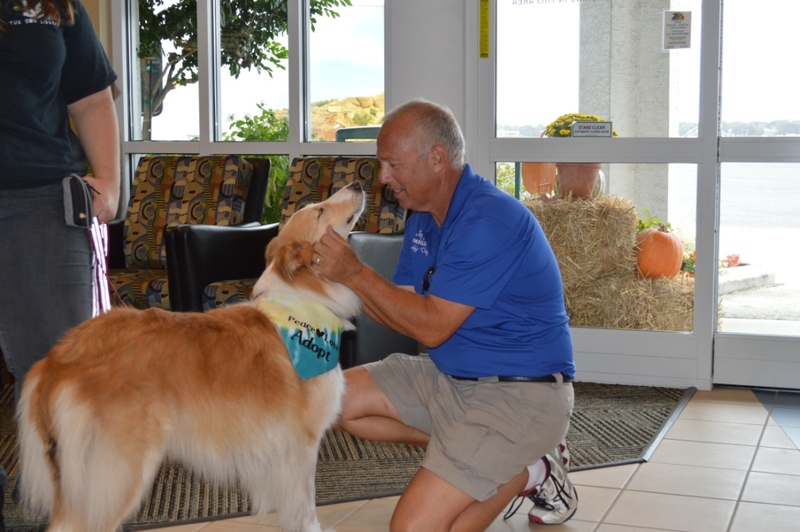 He was rescued from Panama City, Florida and was fostered by Gisele for a while back in 2010. Since then I have helped Gisele with the transport of Osbourne and Maggie May. It gave me a chance to see and check on my very first passenger. Osbourne looked wonderful and was much happier than that poor boy who cried all the way from Lake City to Deltona. 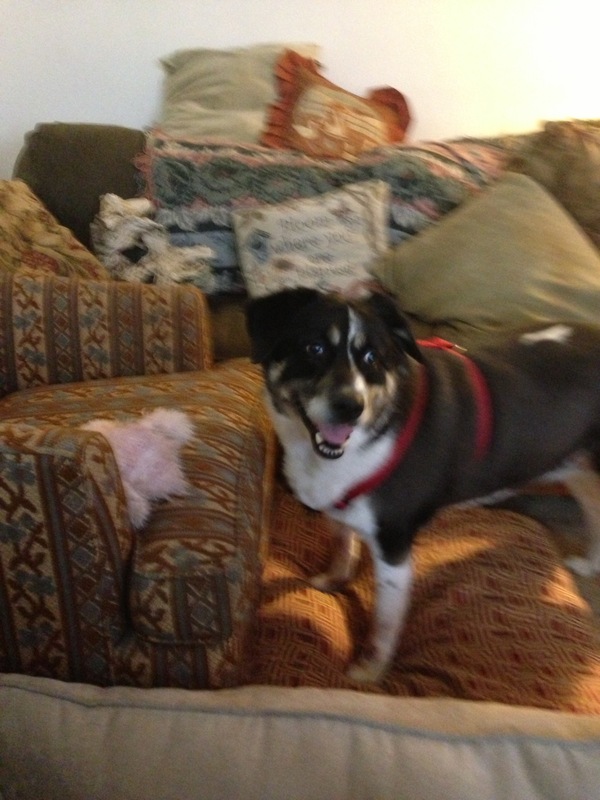 BoBo had a blast at Gisele’s house, and when things got busy for her, Bart’s Mom volunteered to foster BoBo. BoBo and Bart had daily frat parties! Funny how Bart made BoBo play, and BoBo taught Bart some manners. On Friday, June 21st I got the privilege of bringing this story full circle. I got to take Bobo home to his Mommy in Lake City. To top it off, I brought him a wife as well. Gisele called me Friday morning about my trip to Deltona to pick up Bobo and we discussed the fact that his Mommy had decided to get a foster dog to keep him company. That same morning Gisele had been contacted by a woman in Marion County who could no longer keep her 8 year old Border Collie female due to divorce and the resulting housing issue. 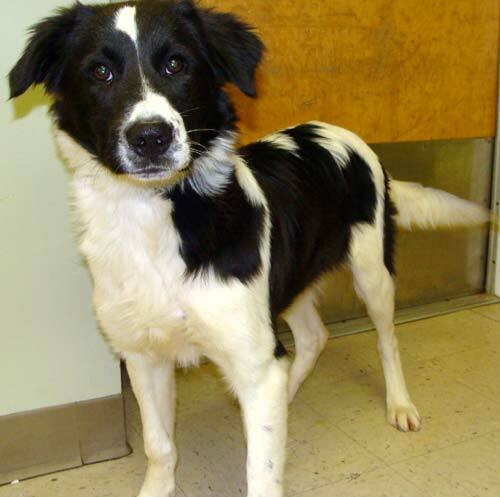 She had taken her to Marion County Animal Control and they referred her to the Dog Liberator. We discussed how perfect it would be if this girl could go home and be fostered by Bobo but Gisele did not want to just send this dog to Lake City without having the chance to evaluate the situation and I agreed. So I reminded her that at the moment I was in Marion County at work (I live in Citrus) and could go pick up the dog on my way to get Bobo and we could see how things went from there. We made contact again with the dog’s owner in Marion County and at 4pm I was there to evaluate things. She was very stressed about having to rehome her dog. She had been with the family for 8 years and I could tell she was loved however, the stress was tangible. I could feel it, the owner was overwhelmed with it and the dog was being affected to. The dog’s name was Shebba and she seemed to know why I was there. I got the necessary paperwork, loaded her into my car and we were off to Deltona. I can not say it was love at first sight. They sniffed and circled for a moment but Shebba was still overwhelmed and needed to adjust. So, after a wonderful dinner with Gisele and her family, it was back in my car with both dogs this time and home to Crystal River. The next morning we were all loaded up into the car by 9am and headed to Lake City. 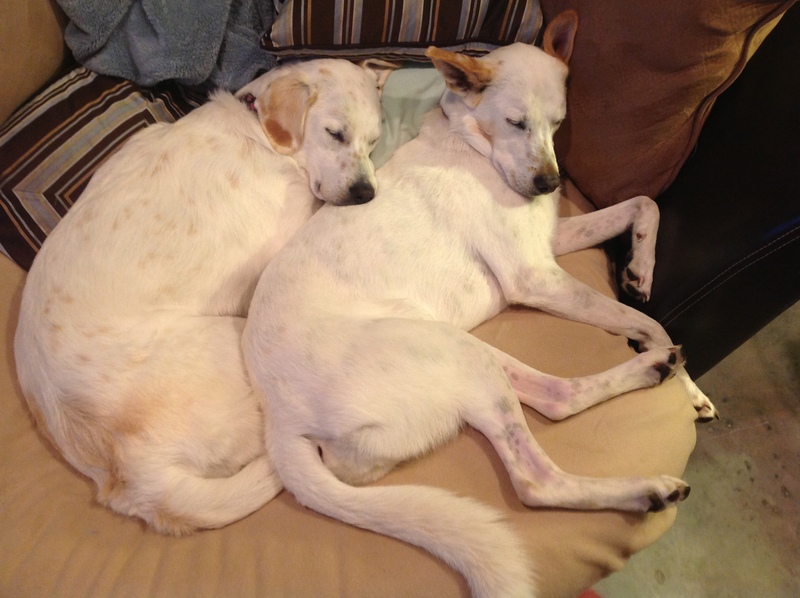 Like dogs do, Bobo and Shebba took turns creating nose art and sleeping. For the most part the trip was uneventful, that is at least it was until we got to Lake City. We were about 7 minutes from our destination and my daughter opened the window. Suddenly Bobo looked like he’d just drank cappuccino. 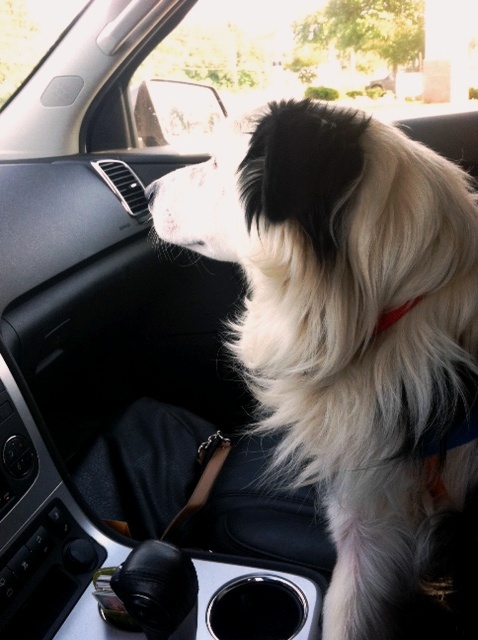 He began to excitedly sniff the air and pace my back seat. We looked at each other and I said “Do you think he knows?”. The closer we got, the more excited he got. In fact, due to parking issues I had to pass his house and turn around on another street and he nearly went crazy. BoBo started crying! Bobo was one happy boy to be home. He pranced around his living room while Shebba, now called “Lovey”, explored the house. When I finally said my goodbyes, Bobo and Lovey were laying on the living room floor in front of the air conditioner side by side. This was the happy ending I had hoped for for BoBo, and a great new beginning for Lovey! 06/26/13 Update: I received a photo from Bobo’s Mom, (Sherilyn) of his new foster, “Lovey”. The two dogs are getting along very well, but BoBo is a bit shy. BoBo would like to proudly introduce to you, his new foster, Lovey, who is available for adoption! Click here to read BoBo’s original post. We really do have the best adopters! 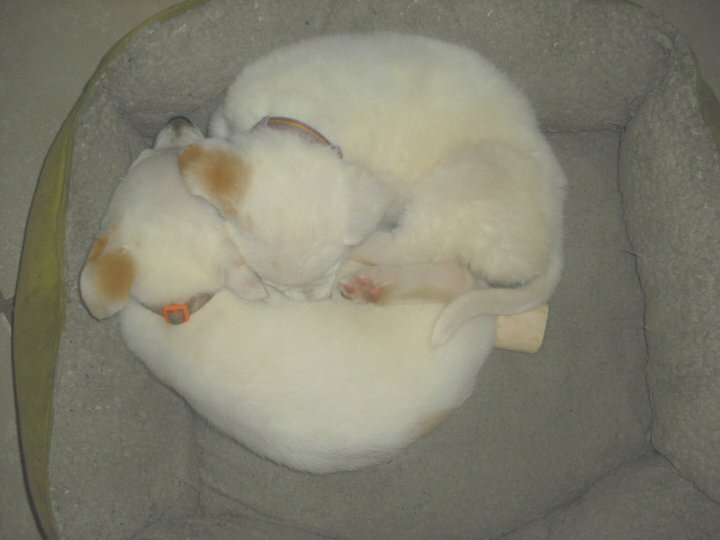 In mid February of 2011, we received a litter of pups, Weeble, Wobble, Wiggle and Waggle. 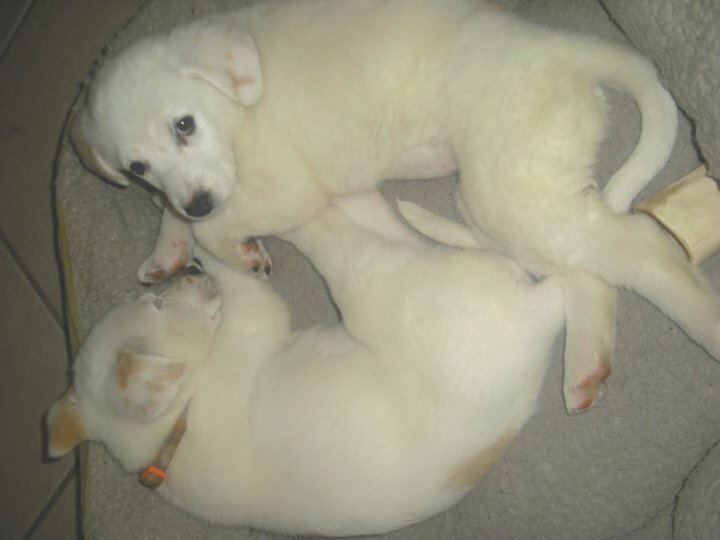 Wiggle and Waggle were adopted on 02/19/11 to separate homes, Weeble was adopted on 02/23/11 and Wobble on 02/26/11. It was about six months later, we learned that Weeble was going to be returned by his family, because they simply weren’t ready for the bounciness of an adolescent dog. Although we offered many suggestions to burn the young dog’s energy, the family could not meet the dog’s needs, after all, they were a very busy family. 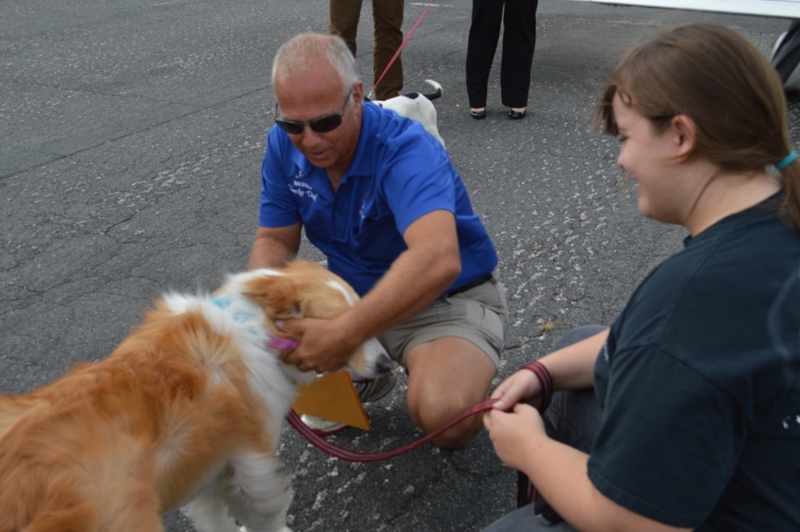 It doesn’t happen often, but when a dog is returned, our hearts sink. We feel like we have failed. Common sense dictates that we can’t be everywhere all of the time for our dogs. We trust that if there is a problem, we’ll receive a phone call, but there are times where owners are embarrassed, discouraged, or afraid to contact us. By the time we do get that call, the owners have already made up their minds. We are then faced with the fact that what’s best for the dog is for the dog to be re-homed. Heavy sigh. The first thing we did was contact the families who had adopted Weeble’s litter mates, and Wobble’s family strongly expressed an interest in her. 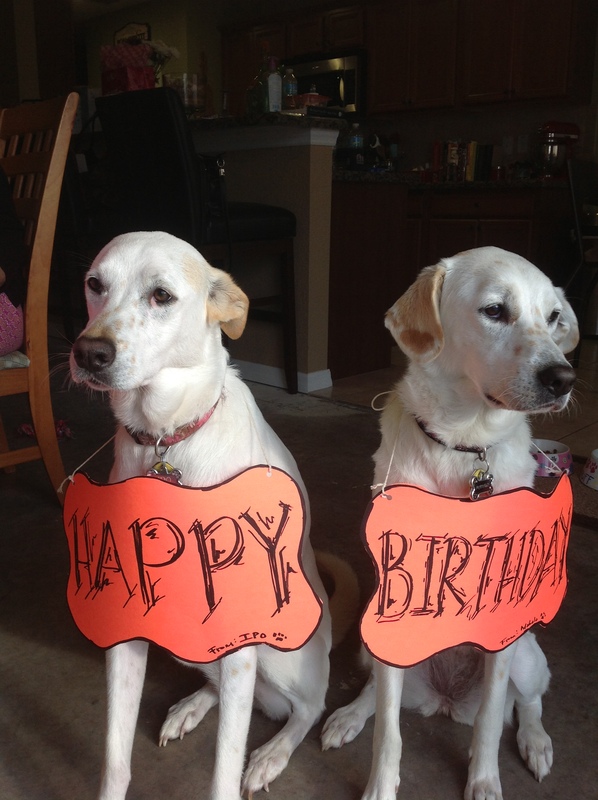 Not only did they adopt Weeble, the two pups, now full-grown are… well… let the photos do the talking! See their album on facebook. Our adopters are truly amazing, and we are so blessed. Thank you Huth Family! Just wanted to send you recent pictures of our Hawaiian Sheps – Ipo (Wobble) and Mahalo (Weeble)!!! We can never thank The Dog Liberator enough for rescuing these beatutiful girls and giving them the chance to find their forever home! You guys truly make a difference! 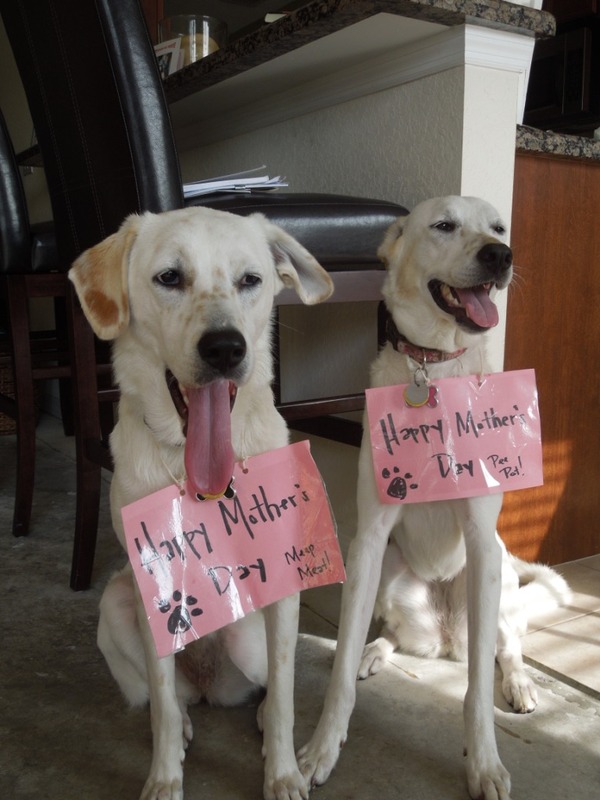 We are so blessed to have them and we love them – and they love each other – so much!!! Have you ever been in public, and seen someone that you know you know? You think hard to try to remember their name, but can’t. You literally hurt your brain trying to remember how you know them, where you met them, and it’s driving you insane, because you know you know them? That’s what I think my rescued dogs do when they see me after a while, especially during our reunions. During our last reunion, I could tell that Shy Sharon did not really remember us. She didn’t try to bite me when I tugged on her collar, trying to get her near me so I could pet her, but she wasn’t “sure”. Bart did the same thing. While he’s a friendly fellow to begin with, he too wasn’t sure. Maybe they have a familiar memory, but they don’t truly remember. It’s not like in the movies where a dog comes running toward your voice and leaps into your arms, and totally recognizes you. Even in 2010 when I saw Tim Tebow again, he clearly didn’t remember me! Ironically, in 2010, Flash Gordon did! Maybe it has a lot to do with the dog’s age, how long they have not seen you, and how long they were with you. 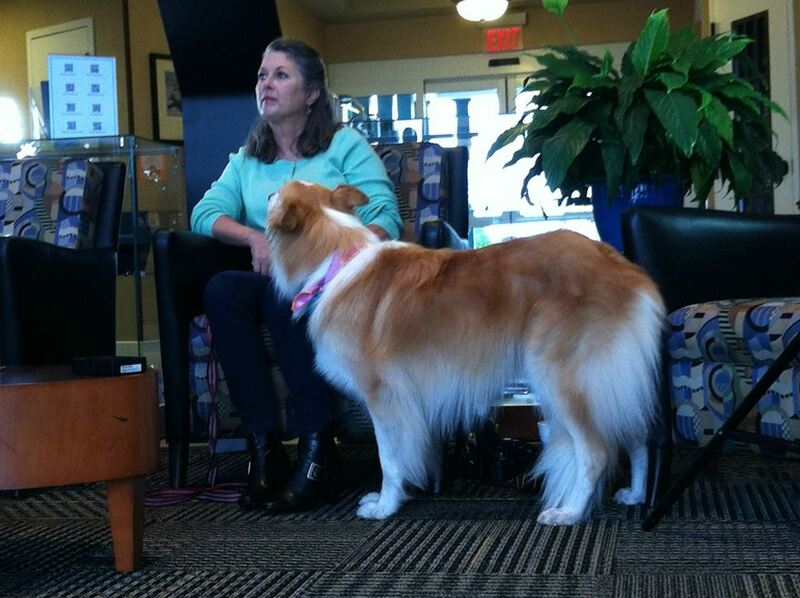 Not that many dogs remember me in an instant, except for Mr. Breeze! I don’t think it matters how many years go by, Mr. Breeze will always remember me, and after you read what he went through, you’ll understand why! The last time I edited his page, was in 2011. I called him the big goof! Mr. Breeze is very animated, he talks with his feet, his mouth, and his eyes. He’s very much a clown! His photo album can be viewed on Facebook. What follows is his the story of his most Excellent Adventure! 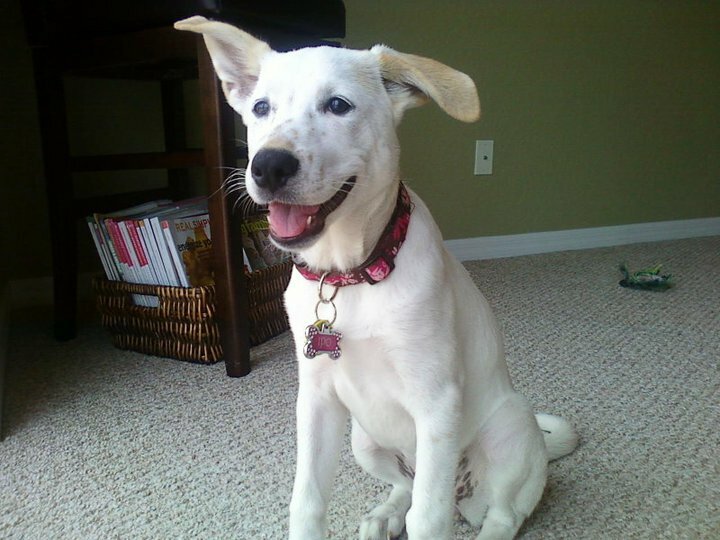 Breeze came to us from Becky Harshman through Chilton County Humane Society on January 1st of 2010. He was just a pup! Back then his name was Canyon. He was adopted on January 17th, 2010. When his owners suffered a job loss, they lost their home, and returned Breeze to me on October 15th, 2010. Even though they had no choice but to surrender him, they did so with a heavy heart. 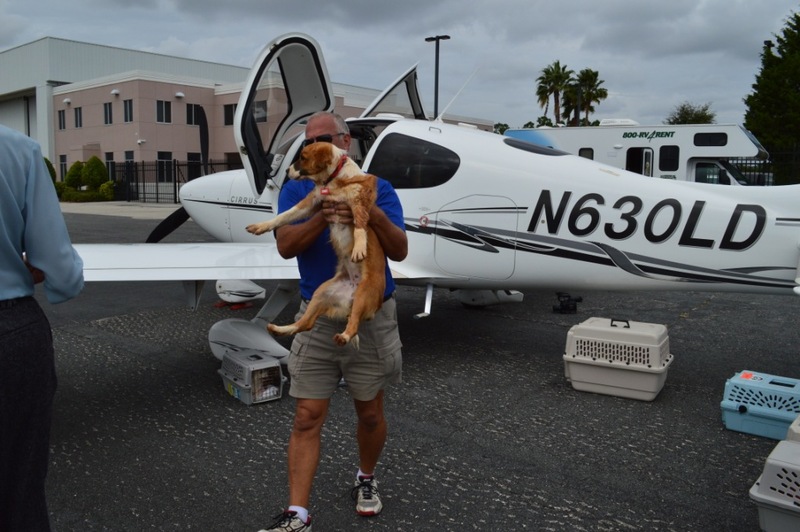 Breeze was returned to The Dog Liberator, and was transported to Clearwater where he was fostered by Lynn Deal and Mark Whalen. It didn’t take long for Breeze to find his new second home. On November 8th, he was adopted again, by a family near me here in Deltona. On November 9th, I received an email from Matthew George, he wanted to adopt Breeze, but it was too late. They Call me The Breeze! 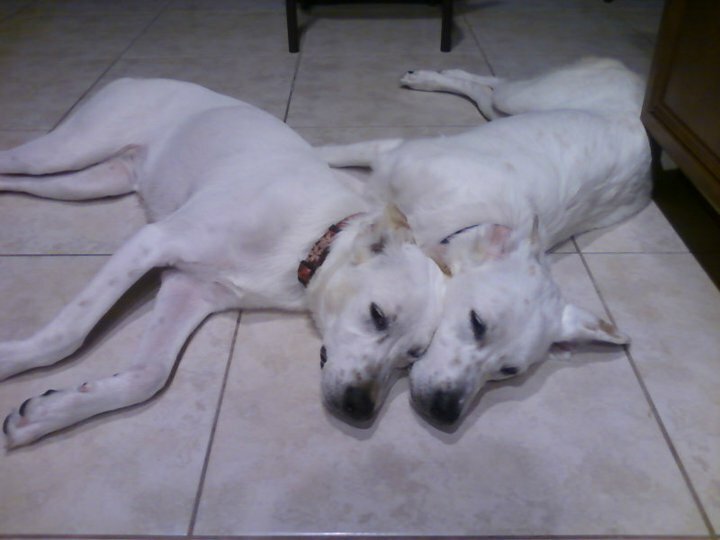 Breeze lived with his second family for a few months, when they noticed that their female dog was antagonizing Breeze. Because Breeze wouldn’t stand up for himself, and submit, he became very shy and withdrawn. This was not good. The family could not afford a behaviorist for their dog, and they were up in arms with what to do. After numerous phone conversations, and emails with Breeze’s second family. Inundated with medical issues within the family, they asked me what I thought was best for Breeze. Sometimes loving a dog, giving him food and water just isn’t enough, especially for the herding breed. Intelligent dogs with high energy need physical exercise, training, and a job to keep them occupied. The family simply can not meet his needs at this time, no fault of theirs. I suggested they surrender Breeze to me; I wanted Breeze back. On February 8th, 2011, 12 months after he came to my rescue, Breeze came back to me. Breeze stayed with me for a few weeks, until I arranged transport to Clearwater, where he was fostered by Mark Whalen. He was very comfortable here with me. He remembered where everything was, he remembered the pack, and even though he was double in size, he was the same! After Breeze was transported to Mark to foster, his true color was seen. He was happy go lucky, the main instigator for play, adored Mark’s pit and of course, Kudos. Kudos and Breeze quickly became best buddies. Breeze was no longer submissive and withdrawn. He was the big goof again. I was in the process of posting Breeze on all of the adoption sites, and revamping his video for the third time when I received an email from Matthew George expressing an interest in adopting Indian. Being that four months had passed, I did not recognize the name and assumed that Mr. George was new to me! I was wrong. Needless to say, I got chills! Mark suggested I hang up and make a call to Mr. George notifying him of Breeze, and I did. Now, I know strange things happen in my rescue all of the time; things that we just can’t explain. I know how hard we all work to save, transport, rehabilitate and rehome these dogs, but sometimes things happen, like this, that leaves us speechless. “What if I told you that Breeze was back?” I asked him. Matthew did not respond. I knew that he couldn’t believe it. I said it again, “Breeze is back, would you like to meet him?” Matthew couldn’t wait to tell his wife! Stephanie and Matthew George drove to Clearwater, and they met both Indian and Breeze. I wondered if Breeze was meant to be with them in the first place. I wondered if that first email from Matthew was supposed to come to me earlier, or if his second adoption was supposed to be delayed for some reason. Matthew did adopt Breeze on February 16th, and named him Coltrane. Indian was later adopted on February 20th, his adopters were originally interested in Breeze! 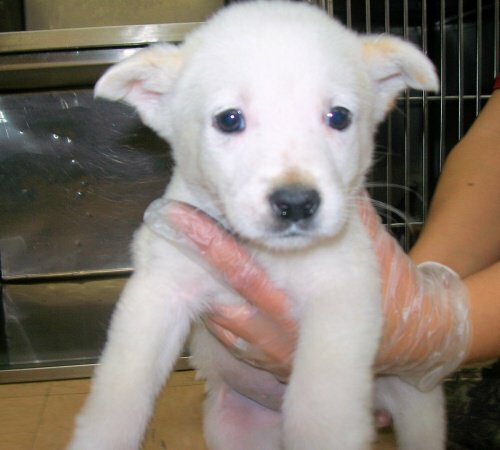 So here we have one very lucky pup who was trapped in a shelter in Alabama, and transported to me in Deltona, Florida. He was adopted two weeks later, and returned to me 10 months later, and transported to Clearwater to be fostered. While in Clearwater, he’s adopted again, only to be driven back to Deltona two months later, where he lived with his second family for several months. Then, he is returned to me again, and fostered in Clearwater again. Then, Matthew George adopts Breeze, and Breeze is back in Orlando. But what’s up with Breeze now? In 2011, Matthew updates that Breeze has his own new baby girl! I had the pleasure of seeing him and his new baby at our reunion in 2011, and he was a happy go lucky big goof! 2011 – Breeze recognizes me, and Lady Di protests! He followed me around most of the day, sitting at my feet, ready to do whatever I said. “No Breeze, you’re not coming back to me. You have your own family now!” I’d tell him. Today, Breeze is in Colorado with his forever family, and he’s loving it! Thanks Matthew!